God has created men to have incredible strength, but today’s culture has hijacked masculinity, distorting it into passivity and abuse. In this five-part video series, Pastor Joby Martin invites men to embrace God’s definition of masculinity, step into His calling and wield their strength on behalf of others. When men act like men, everyone flourishes. View the Act Like Men Trailer. 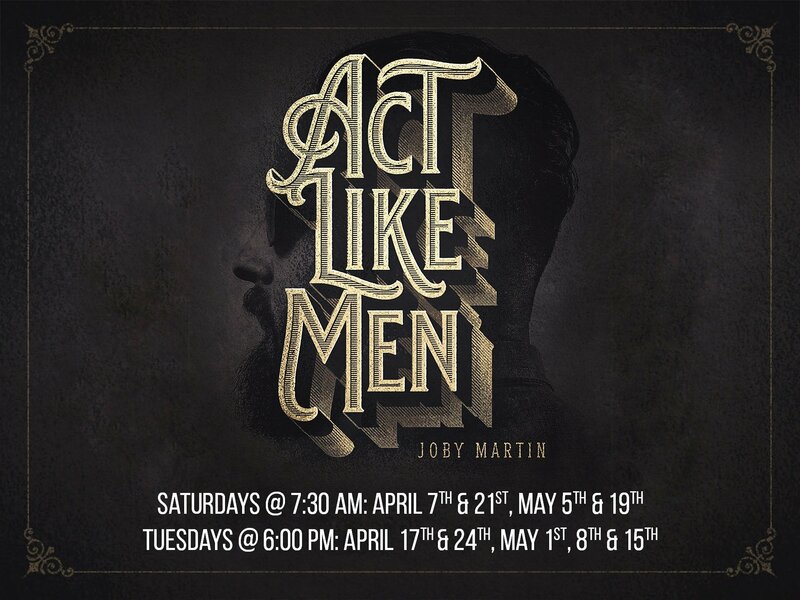 Because of the overwhelming demand for men to connect, we are offering two opportunities to participate in the Act Like Men series; the first and third Saturday mornings, April 7th – May 19th, and each Tuesday evening, April 17th – May 15. For information contact Men of Life Team Leader Kevin Weimert at kweimert@lifechurchcalvert.com.